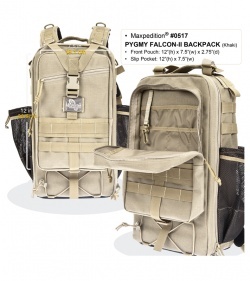 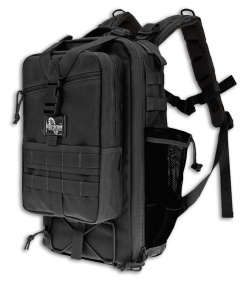 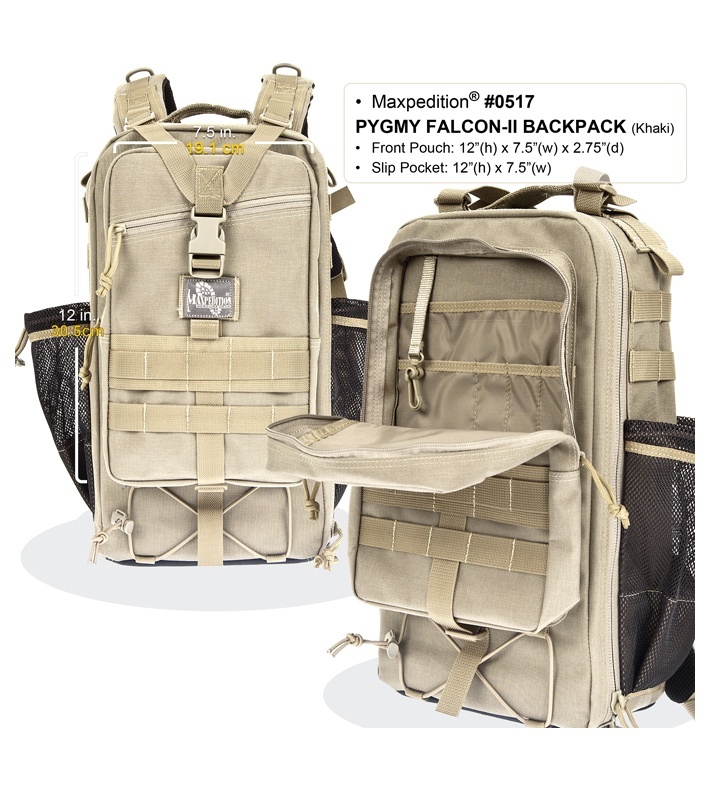 The Pygmy Falcon II Backpack from Maxpedition is a compact rectangular urban daypack with a distinct military styling. 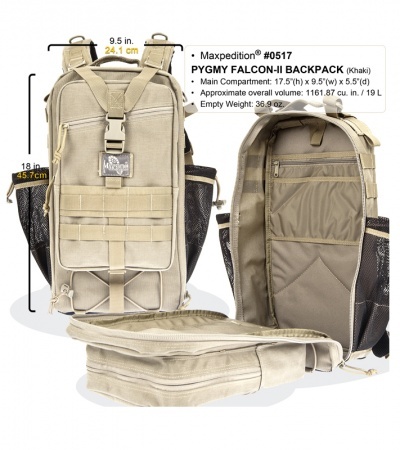 Perfect for a day out or an overnight with plenty of room to take along water, as it is equipped with dual side mesh pouches to accommodate two 32 oz. (1 liter) water bottles. The Pygmy Falcon II features the Y-shaped compression strap that contributes to the bag's form and structural integrity, comfortable back padding, and ergonomic, supple curvaceous straps and sternum support minimize any stress on the shoulder. The great companion backpack to take with you anywhere, anytime. 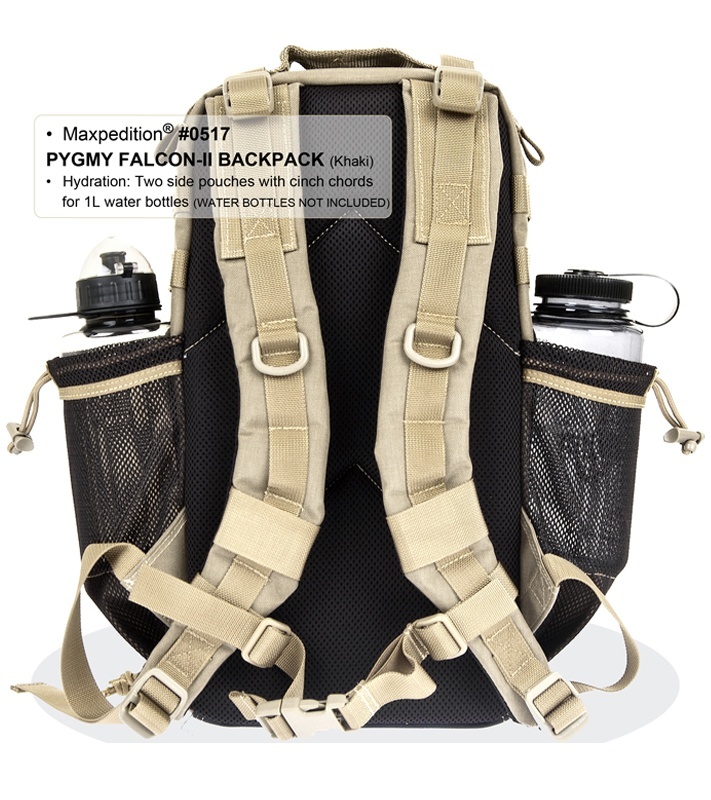 It has exterior webbing for adding other Maxpedition pouches and accessories using #9903 3" Tactie and #9905 5" Tactie Attachment Straps.